Dr Stock's official page for guest posts, opinions and views! Soybean – On a bumpy track! Edible oil seeds witnessed sell off in the last couple of weeks on global as well as on domestic bourses, weighed down by the global economic uncertainty and falling crude oil prices. The rising concerns from the Eurozone pressurized long liquidation across the market. The upbeat USDA report was very much discounted and panic sell-off continued over the past couple of weeks alongside the rattled equity markets. However, the fundamentals of the crop both on domestic and the international front still suggest a bullish scenario in the coming weeks and investors should look for opportunities to enter the market. In the global scenario, the soybean supply is expected to remain tight till the new US crop arrives i.e. near September 2012. South American soybean crop has been largely affected by drought, an aftermath of LA Nina. As per market sources, Brazil has sold out almost 80% of their 2011/12 crop due to record prices, strong demand. The sharp drop in production from Latin America has led to global supply tightness and thereby increased the dependency on the old US crop. To add to this, US 2012 prospective planting reports suggests a drop in acreage to 73.902 million hectares from 76.61 million hectares as farmers shift acreage towards corn this season. China, the largest soybean importer of soybean has been very active in their purchases over the last few months which is one the reasons that fueled the rally in global soybean prices. While China is likely to import nearly 60 million tons of soybeans in the marketing year that began October 1, up from last year’s 52.34 million tons. Imports for the year 2012-13 are expected to be 60 million tons. They have also projected a 7% drop in soy production this year to 13 million tons as farmers shift to grow corn due to higher returns. This would underpin the exports by the largest buyer of oilseed in the world. On the domestic front, India is going through a lean soybean season where the supplies in domestic markets coming down drastically till the new crop arrive. 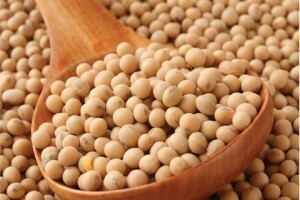 With improved soy meal exports and rise in global prices and weakness in domestic currency, we expect the tightness in the supply would flare up soybean prices in the coming months. We must also keep a crucial watch on the progress of the monsoon in the coming weeks which will play a pivotal role in governing prices in the medium term. Various meteorological institutions have forecast a deficit in northwest region of India which shall fuel a bull-run in soya complex. We believe that recent correction in Soy prices will represents a good opportunity to initiate a long position for Short term. Indifferent secondary equity markets have meant poor IPO markets too. If we look at the data over the past 18 months or so of the 60 companies that came to raise capital only 12 have managed to give a decent return to investors, another 6 or so are trading above their issue price while a staggering 20 companies are trading lower by 50% or more from their issue price while the remaining 12 are also lower. In this period about 6 IPOs were withdrawn – this included Samvardhana Motherson Finance – a group company of Motherson Sumi a listed player with good presence in the auto ancillary space, that the company could not garner sizeable subscription was shocking. The recently concluded Speciality Restaurant IPO has also just about managed to scrape through. 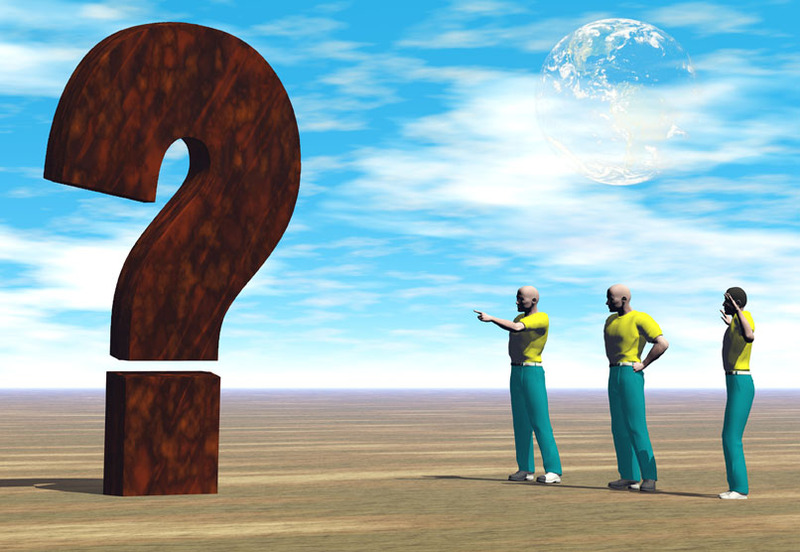 Are the ills of IPO market more than just weak markets? What should an investor look to do in such a case? Very often a buzz is created in a company at IPO time and we see investors line up to invest. But the cold hard reality is that IPO investing has been a risky game. Even fancied IPOs like the Multi Commodity Exchange of India Ltd, which recently got listed is now trading below its IPO price. Even when you look at the list of IPO’s that have done well, it is not a list that can throw up any conclusive answers. It is not that the well known companies with established products have done well, or that they are companies with some cutting edge technology and great managements. If you see the list it’s a motley group – Textiles, Realty etc. If you want to invest in a good quality stock – make sure that you go through the prospectus very carefully and read the plans of the company. Is it an offer for sale, where you are only providing an exit for PE investors or are the funds going to be actually used for future capex. If all this meets your satisfaction then look at the price multiple they are asking for. Is it in line with what others within the sector are demanding or is it at the higher end of the PE band? A couple of years we had a spate of power companies all at fancy valuation and today most of them are facing a tough operating environment and are nowhere near completing their projects and trading well below IPO price. So beware! It is better to be careful than sorry. When we look at the data what we find is that what has worked in most cases is to apply in an IPO and exit on the day of listing. We find that while you would still stand to lose in about half the cases but the amount that you would have lost would have been lower. This is a strategy that most traders use, they apply in IPO’s for listing gains. On the day it lists they sell off and just flip that amount over to the next IPO. Data bears out that this indeed is a more sensible strategy to follow. Just as they say a weakening currency is a lead indicator of an equity market weakening it is when IPO’s begin to get good subscription that we can expect secondary markets also to start doing better. IPO remain a key tool for corporate India to raise funds for future plans and gives us an opportunity to participate in their growth story but we must deploy with care. For the first time in three months Nifty closed below the 5000 level on 8th May2012. From the disastrous sell-off in December 2011 that had taken Nifty to 4555, 2012 has been a better year. Indian markets found favor among Foreign Institutional Investors (FIIs). The risk-on trade meant that as FII’s were sanguine about the developments in their own geographies they were willing to invest money in riskier/ emerging markets, India too got its share of this inflow and we saw FII’s being buyers to the tune of eleven thousand crores in January and a huge figure of twenty five thousand crores in February when Nifty made a high of 5621. So what spoiled the party for us? And where do we go from here? While at the heart of all the trouble lies with what is happening domestically. The lack of policy action has caused lot of despondency in those who follow the India story. The expected FDI in multi-brand retail fell through, the FDI in aviation is as of now still to come. And we haven’t even begun to talk of what ails the power sector. The hike in petrol and diesel rates was also put on hold and diesel getting deregulated does not look likely in the near future. 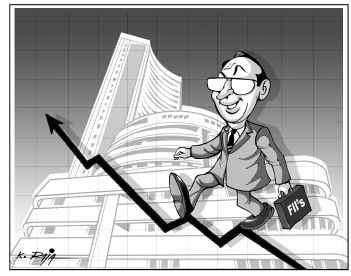 By the time budget day rolled by the overall enthusiasm was on a low, the announcement of GAAR (General Anti-Avoidance Rules) led to increasing discomfort and uncertainty among FII’s and we saw liquidity begin to dry up and come down to seven thousand odd crores much lower than the February number of twenty five thousand crores, and in April this became a negative meager five hundred sixty eight crores showing how volumes had dried up. Not even the announcement of a repo rate cut in March by 50 basis points to 8% from 8.5% could bring in the cheer. Adding to our woes was the way the rupee behaved – on 9th May 2012 it hit an uncomfortable level of 53.83 triggering worries that it was headed to 57 against the dollar. RBI announced the release of 50% of the funds held EEFC Accounts (Exchange Earner’s Foreign Currency), this will mean about $2.5 billion dollars and this should help the rupee recover a bit. It also signals that RBI will be actively looking at what else they can do to curb currency weakening situation. Europe is going through its own turmoil, from US there are mixed cues from the data points that have led market followers to believe that the recovery is not a done deal and we are still some months away from it. Some things are beginning to look better. While the market may have disregarded the interest rate cut this is a positive and its effect will be felt over the next couple of quarters as this starts showing up in the interest rate sensitive play – banking, autos, infra, real estate and capital goods. And any betterment in this will certainly bring back investor interest. Crude is also cooling off, Brent had gone to $128 in February but this has seen it come down to $112 in May – the hike in Brent was negating the drop we had seen in inflation but now that it is on a downward move this too will be a positive. GAAR has been deferred by a year. Also several contentious issues in it will be addressed is what we have been promised. Hopefully this will soothe nerves and when we see a resumption of the risk-on trade India will get its fair share of flows. We believe that market draw downs should be used to build a portfolio. A lot of price erosion has happened in the past year or so especially in the Banking space and the Infrastructure sector. Given that we have just seen an interest rate cut RBI has signaled that they acknowledge that growth too is important and that inflation is under control. The very high Current Account Deficit is however a limiting factor, it therefore remains to be seen what moves will be taken to jump start infrastructure projects and growth. But valuations are now at level where we can start making a basket of stocks and buy these at dips so that we get a good portfolio at good prices too! Watch Dr Stock’s new TV commercial ~ exclusive! JEERA ~ The investment demand may pick up!